Betpractice Score Grid (BSG) is the first betting app to display Exchange football markets in a score grid format. 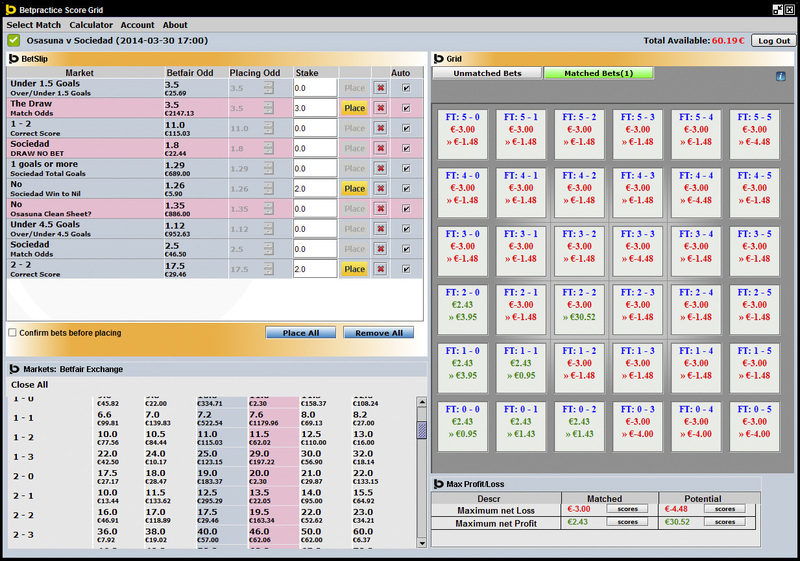 Score grid simplifies betting on different markets within a particular football event on the Exchange. 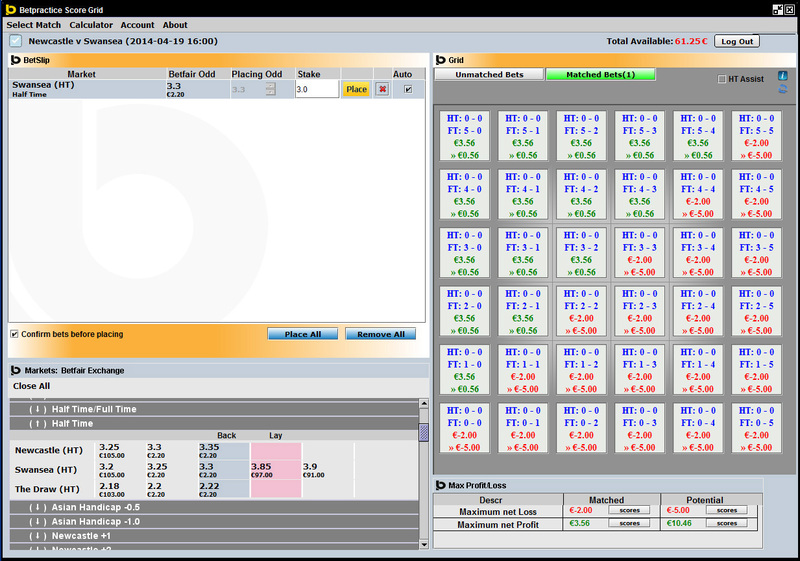 BSG has been designed for pre-game and for in-play betting in the Exchange markets. Betpractice Score Grid (BSG) is the first betting app to display exchange soccer markets in a score grid format. Score Grid simplifies the mixing and matching of single bets amongst different markets in a particular football game. 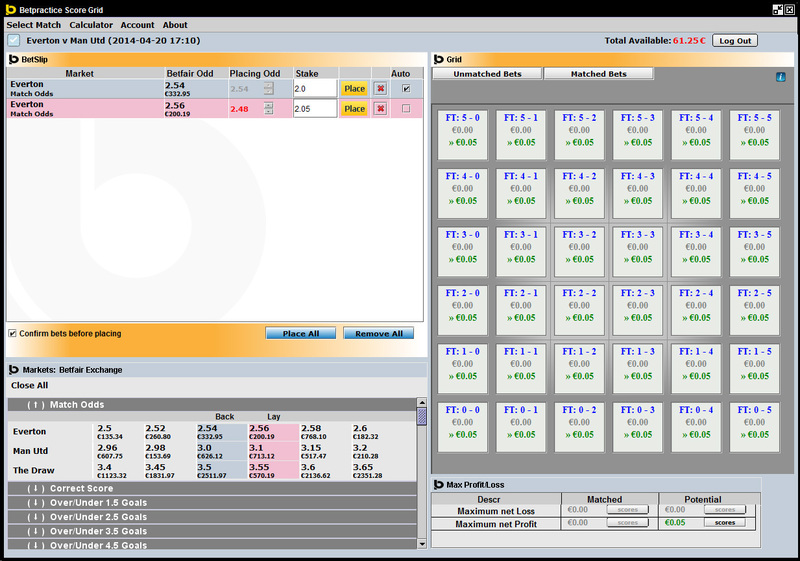 BSG has been designed for pre-game and for in-play betting in the exchange markets. Score Grid presents potential betting choices among different markets and illustrates the net profit or loss at every possible score of the game. The most important benefit of this application is the ability to determine the most profitable combinations of bets across different football markets. BSG is a simple and easy to use, one-click betting app, designed for Microsoft Windows. Try out the full version of the software with a free 15 day trial.